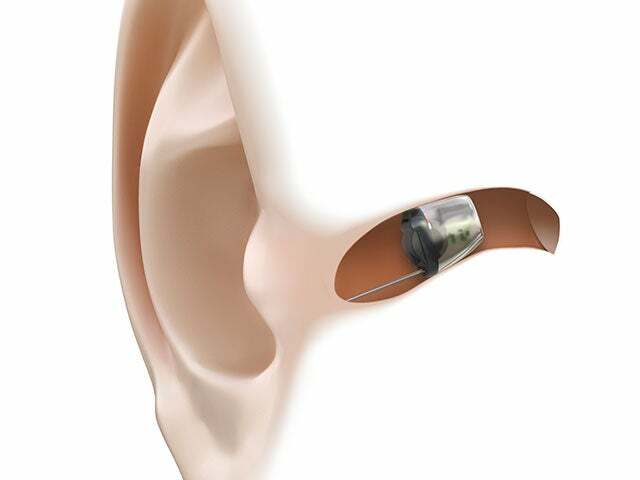 Hearing aid which sits deep within the ear canal so that it can not be seen. It is the smallest custom hearing aid available. It fits best when custom-made using a deep ear impression of the entire length of the ear canal. Invisible-in-the-canal (IIC) hearing aids are most appropriate for mild to moderate hearing loss. IIC hearing aids include a microphone, amplifier, digital processor, receiver, and battery. Because of their small size, IIC hearing aids do not have wireless or telecoil capability.